To those looking from the outside, university chemistry education in “old Europe” seemed slightly incomprehensible. True, the United Kingdom and Ireland had Bachelor and Master programs (they invented them, after all), but continental Europe was marked by a great variety of first degrees (called, for example, Licenciatura, Laurea, Doctorandus, Ptychio, Candidatus, Licencié, Maitre, Meester, and Diplom) which did not seem to fit in well with what the rest of the world was offering. Five years ago, however, that all started to change: In Bologna, Italy, 29 European ministers of (higher) education signed the historic Bologna Declaration. Their goal was to put into place by 2010 an open “European Higher Education Area” in which the degrees would be transparent and comparable. The agreement called for “two cycles,” the first lasting for at least three years and providing an entry qualification for the second, which would lead to either Master or Ph.D. qualifications. Since 1999, the Ministers have had two further meetings: these led to a refinement of the model, which now consists of three cycles, to be called in most countries Bachelor, Master, and doctoral cycles. And the consensus is that the first cycle should last three years and the second between one and two. The doctoral cycle has yet to be defined in detail. Forty countries are now involved, including Russia, so that the emerging European Higher Education Area stretches from the west coast of Portugal to Vladivostok! These new degrees will have a credit structure (based on ECTS, the European Credit Transfer and Accumulation System), and graduates will receive a “super-transcript” called the Diploma Supplement. Bachelor qualifications will carry between 180 and 240 credits (but as a rule 180), Master courses anywhere between 60 and 120. Within the scope of this project, the European Chemistry Thematic Network (ECTN), a group representing over 120 universities and (presently) 7 national chemical societies, has devised a framework for a 180-credit (3-year) Bachelor program in chemistry, which we call the “Chemistry Eurobachelor.” This framework has been approved by European chemical societies gathered under the umbrella of the Federation of European Chemical Societies. Details, for those interested, can be found under <www.cpe.fr/ectn/Wkgrp/Eurobachelor%202004.pdf>. We hope that the “Chemistry Eurobachelor Label” will in time be accepted worldwide as a visible symbol of the high standard of European university chemistry education. ECTN, in fact, intends to take a bold step into accreditation, and will offer interested institutions the possibility of applying for the “Chemistry Eurobachelor Label,” to be granted initially for five years. Our goal is to facilitate mobility and employability by certifying that institutions do offer comparable degree programs, thus making it easier for graduates to move “without let or hindrance” within Europe. But not only within Europe: We hope that the “Chemistry Eurobachelor Label” will in time be accepted worldwide as a visible symbol of the high standard of European university chemistry education. Terence N. Mitchell <terence.mitchell@uni-dortmund.de> is professor at the Chemistry Department of the University of Dortmund in Germany. 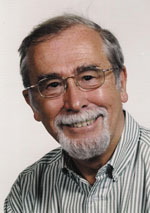 He has been involved with European Chemistry Thematic Network (ECTN) since 1997. He is the current German National Representative on the IUPAC Committee on Chemistry Education. Page last modified 31 August 2004.